Volume! It’s all about volume. Your face loses it as you age. Think of a balloon. As you let out the air, the balloon loses volume so it shrinks and becomes wrinkled. Your facial skin does the same thing, only it also has gravity working against it, pulling it down at the same time. The result is you’re showing your age. But you don’t have to! Enter the wonderful world of fillers. More and more of my patients are choosing nonsurgical dermal fillers as a great way to hold back the hands of time, so to speak. Fillers are a great way to restore lost volume, giving you a more youthful, refreshed appearance. But that’s not all. Depending on which filler I use and where I place it, I am able to specifically target problem areas, correct facial imbalances, plus reduce fine lines and wrinkles. It may sound a bit magical, and in a way, when done correctly, it is. The good news is that the dermal fillers we use are made from hyaluronic acid—a naturally occurring substance found in your body. Because of this, there is little chance of patients having adverse reactions or rejection. Though not permanent, dermal fillers tend to be long lasting. Most patients put themselves on a regular maintenance schedule for “refills.” But if that’s not possible, they like the fact the fillers disappear gradually over time, which allows their skin to return to its previous state subtly. How long they last depends on the type of filler we use and location where injected, which is why patients happily report their results may last 6–24 months. Keep in mind your age, lifestyle, skin type, as well as skin condition all play important roles in your individual results. Getting fillers is a quick visit. On average, the in-office procedure takes about 20 minutes and can produce immediate results. How many other things can you say that about?! Lips—to add volume and definition but no quacking allowed! Of course dermal fillers help our patients look younger and more refreshed, but they have more uses than hat. I also use them to reshape the nose; fill hollowed areas; and make hands more supple and smooth. 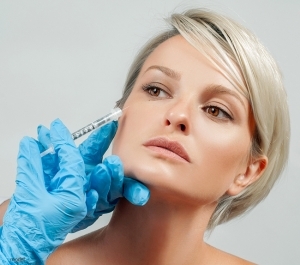 To some extent, you can think of dermal fillers as your nonsurgical magic wand! Time for a fill up? I am a frequent contributor to RealSelf.com; You’re welcome to post questions there for general responses. Obviously, I can’t give specific answers; for that you’ll want to come in for a private and completely confidential appointment to address your particular issues. Located in Chicago’s Lincoln Park, our offices are a warm, friendly and comfortable place to share your wants, needs and concerns.